We have over the period of the new generation TOEFL (Next Generation TOEFL) after 6 years of conducting CBT exam type (which had been converted from the old FBT exam). People are really very anxious when standing in front of ky contest was conducted according to this new style. In the past, we usually study with the purpose of obtaining the score deserves the time spent, but provide the opportunity not only to TAKE the TOEFL for study but also the tools that help us succeed in the process of studying abroad. So, you need to really hone their English abilities. Starting from this, students are forced to focus on the two most difficult skills: speaking and writing (Speaking & Writing), and the teachers teach them how to speak and write the combination of logic.You have seen the new skills in the TOEFL iBT is the very skills needed? 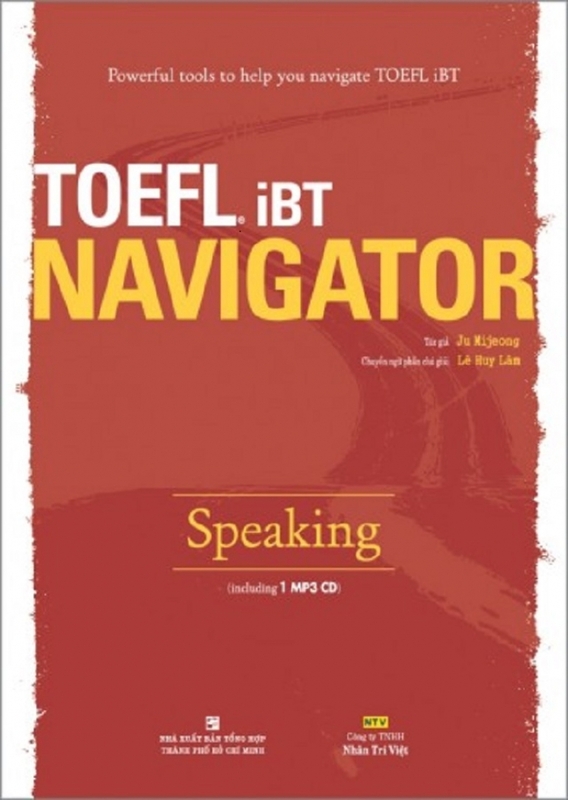 TOEFL iBT Navigator Speaking was compiled to help you prepare for the exam Speaking. To support and help you out as well as can do well in the TOEFL iBT Speaking section, rather lengthy explanation and unnecessary, the only mention of the important content and the problems often caused the TOEFL Preparation concerned, worried. Here are all the content you need in the learning process. Hoping that you get started to familiarize yourself with the same TOEFL iBT TOEFL iBT Speaking – the standard curriculum Navigator guides you to the iBT exam practice. But the exam subjects quite hard but have very specific scale, and the Test is primarily aimed at testing the ability out of you so you don’t have to “painful grappling” to prepare as before. If your learning combined with a good Prep book then you can improve your language ability.